Access has announced the appointment of Sunny Deo as its new creative director following the retirement of Sarah Parker. 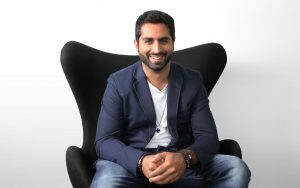 The Manchester agency said Deo was "renowned for being a strong team leader and creative strategist", and has been at the helm of numerous pitch wins and integrated campaigns for General Motors, McDonald’s, Emirates, Fox and Samsung. In 2013 he was headhunted by Grey Group Asia Pacific to help lead the global rebranding of GSK’s Panadol out of their new HQ in Singapore. Other previous roles have seen him working at Leo Burnett, BBDO, Ogilvy One Worldwide and Y&R. He's picked up over 100 international awards for creativity, which include NYF, Spikes Asia, several Effies and the first ever Cannes Lions for Leo Burnett Dubai in 2011 – two silvers in Radio and Scriptwriting. He's now returned to his hometown of Manchester. Simon Landi, Access MD, said he was confident Deo would make a big impact. He said: "Sunny’s experience of working with a host of big agencies and household names excited us. However, what was more impressive was his overall vision for our creative output and direction, and that sealed it! Access has worked with the likes of the National Youth Theatre, BAFTA, Co-operatives UK and the Welsh Government.